The Hawaiian state flag stands out from every other state flag in the United States. It is the only flag in the country to feature the Union Jack, which is a relic of a time when Hawaii was an ally of the British Empire. The state flag of Hawaii also stands out from other state flags because it was used to represent Hawaii as an independent kingdom before it became the Hawaii state flag. 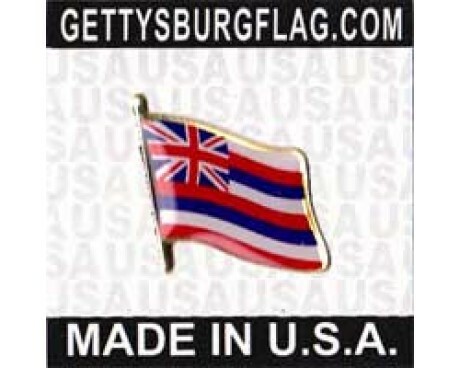 The state flag of Hawaii features the Union Jack in the canton along with eight horizontal stripes that alternate between white, red, and blue. The eight stripes represent the eight major islands of Hawaii, while the colors reflect the state's history. 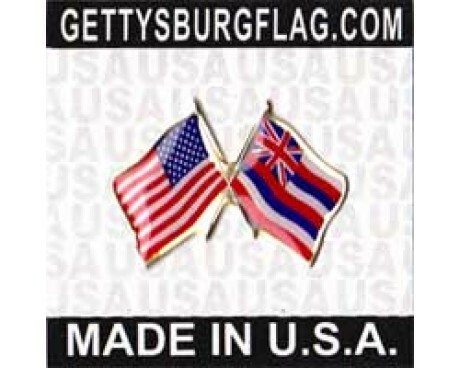 They combine the colors of both the British and American national flags, which reflects the relationship that the Kingdom of Hawaii had with both of those governments. The origins of the Hawaii state flag can be traced back to the reign of King Kamehameha I. He was given a British flag as a sign of friendship, and he responded by flying the flag at his own home. He lowered the flag only when his advisors warned him that the flag might be taken as a sign of an alliance with the British Empire, which might bring Hawaii into a war with Britain's enemies. Some sources say that he lowered the British flag during the War of 1812 and began to fly an American flag to keep the peace with the United States, but that he also lowered the American flag shortly thereafter to avoid offending Britain. The historicity of the story is questionable, but it does explain why the Hawaiian state flag was a combination of the flags of America and Britain. 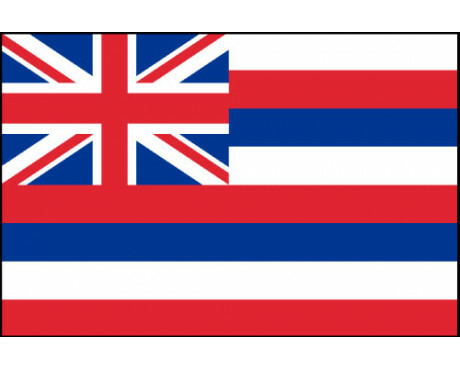 Hawaii adopted a flag of its own in 1816. The design was fundamentally similar to that of the modern flag, but the precise shades and proportions of the flag varied during the years following its adoption. They have since become standardized, but the flag's design has never been formally changed by any government. It has served Hawaii from its time as an independent nation, through the transitional period before it became a full state, and up to the modern day. Captain Cook first landed in Hawaii in 1778, and one of his companions named George Vancouver revisited the islands in 1793. He presented the King with a Union Jack. 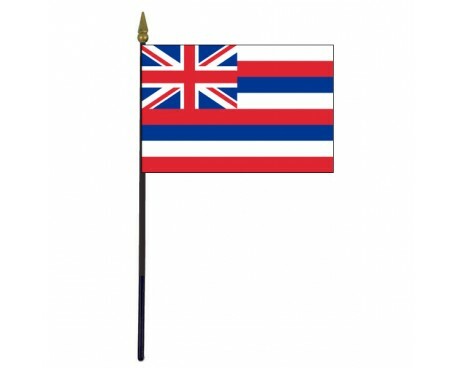 Hawaii was under British protection until 1816, and took as its flag the Union Jack. Today it still makes up a part of the flag of the 50th state of the USA. After the British had gone the King kept the Union Jack in the canton of his flag. The rest of the flag is made up of varying numbers of red, white, and blue stripes. In 1845, the number of stripes became eight, and each stripe representing one of the main islands in the Hawaiian chain. 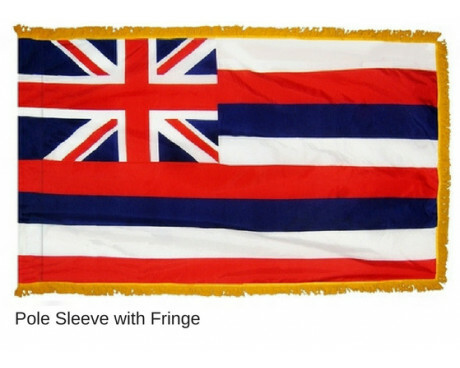 This flag has remained constant during many changes in Hawaii's history. Hawaii is located in the Pacific islands, originally inhabited only by the Polynesians. U.S. settlers deposed ruling by the Queen in 1893, and formed an independent republic. In 1898 annexed to the USA as a Territory, and was admitted to the Union in 1959. State Motto: The life of the land is perpetuated by righteousness.